The country is only beginning to tackle climate risks and competing demands on water resources, but it now has a strong community of practice ready to tackle the challenges. 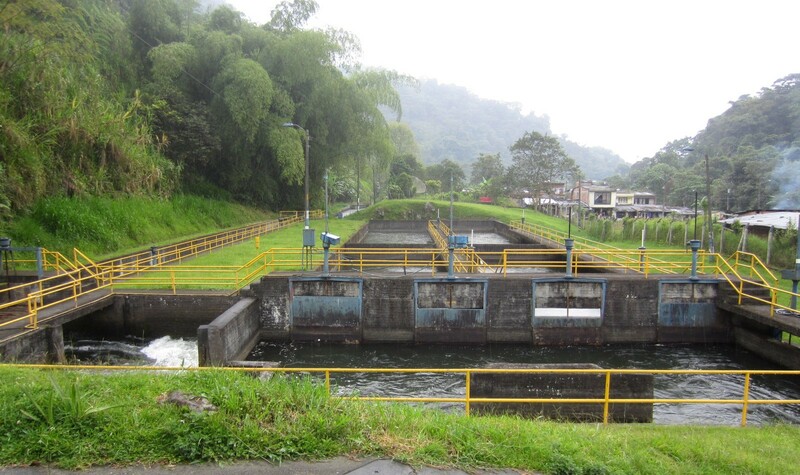 Water supply infrastructure in Colombia. All photos by Marisa Escobar. Between 2012 and 2015 I had the honor to lead a major project in my native Colombia that aimed to build climate change adaptation capacity in the country’s watersheds by combining state-of-the-art modelling, technical training, and participatory techniques. 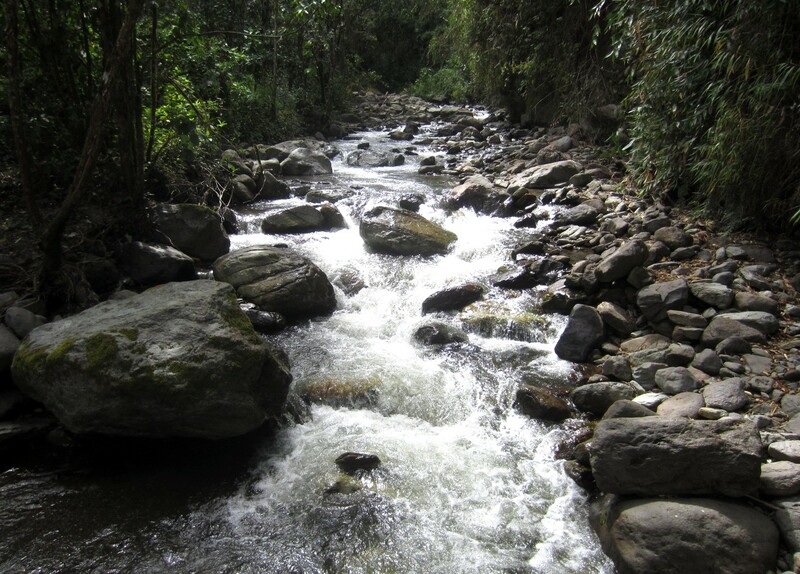 The project, Ríos del Páramo al Valle, por Urbes y Campiñas (rivers from the moorlands to the valley, through cities and countryside), was funded by the U.S. Agency for International Development (USAID). Using a practice we call robust decision support, together with a group of SEI and Colombian academic and NGO colleagues, we worked with regional water management agencies (Corporaciones Autónomas Regionales or CARs), to evaluate risks and competing demands for water and identify adaptation options to reduce vulnerability, support sustainable development, and help conserve vulnerable ecosystems. Colombia is rich in water resources, but some of its largest rivers have been greatly altered to provide hydropower, irrigation and water for household and industrial use, impacting both the quantity and quality of available water. This year in particular, reduced flows due to a strong El Niño have raised questions about the reliability of the country’s water supply. Looking ahead, it is clear that Colombia will need to manage its resources carefully. This is all the more important in the post-conflict era, as securing rural livelihoods is critical for long-term peace. We learned a great deal through this project about Colombia’s challenges and potential solutions. We built capacity within Colombian institutions for climate adaptation analysis, demonstrated the use of specific tools and methodologies, and connected local experiences using those tools to the national-level discourse on watershed planning and responses to climate change. Adaptation actions identified included conserving watersheds, defining environmental flows, managing wetlands, building new storage, improving hydropower design and operations, treating and reusing urban and agriculture wastewater, reducing unaccounted-for water extraction, and improving irrigation efficiency. Build technical expertise within key institutions: Effective planning requires the use of sophisticated tools, such as SEI’s WEAP (Water Evaluation and Planning) system. This means staff at key agencies need to be trained to use those tools. That takes time and resources, but it is crucial. For best results, these staff should have a background in hydrology and experience using models. Milestone training events can help build momentum and also create a community of practice. Maintain sustained contact and interaction: Our project introduced a completely new approach to water resources planning. To ensure this approach is integrated into standard work flows, it is important to have sustained contact – ideally, a resident expert should be funded within each agency to support staff. Regular meetings with leadership (in this case, CAR directors) are also crucial, both to build their technical capacity, and to strengthen relationships. Generate opportunities for exchange of ideas about climate adaptation at the watershed level: Communities of practice are essential for sharing knowledge and further building capacity. Exchanges can focus on modelling or other technical issues, or on promising adaptation options. On a policy level, such exchanges could focus on how learning at the watershed level can contribute to the refinement of national policy and the creation of national-level systems. Use stories of change to highlight the impact of planning efforts: One of the key outcomes of our project is that 40 Colombian experts have now mastered our approach and have the capacity to articulate and address climate adaptation needs in the water sector. Their stories – and the results of our work in individual watersheds – highlight the value of our approach and offer lessons for others. As the work progresses, further stories of change should be collected and shared. A training session led by SEI’s Francisco Flores. Make water central to national policy debates: Colombia cannot take its water resources for granted. Despite a 1993 law that provides a framework for improving water resources management, and the creation of the CARs, problems remain. Policy-makers need to recognize these problems, and work with regional and local-level actors to identify appropriate solutions. Recognize the implications of land use choices: Land use and land distribution are at the core of the conflict in Colombia – and also at the core of the peace process. Colombia has 20 million hectares of land it could use for agricultural production, but it is only using 5 million ha now. Another 40 million ha are being used to support extensive cattle ranching, which could be done on 5 million ha if livestock production systems were improved. Improved land use planning is a priority in the post-conflict era, and it is closely interlinked with water resources management, as water is a key resource for the agriculture sector. Connect project themes to national priorities: Right now in Colombia, nothing is as important as the peace process – people across the country are eagerly awaiting the results. We recognized this throughout the project, and highlighted in our final symposium, which connected water and adaptation to the peace process. This provided an opportunity to increase awareness about the importance of watershed planning for more sustainable progress. Clearly articulate how recommended actions fit with national priorities: Gaining recognition of the importance of water resource management for sustainable development and peace is only the first step. In order to be viable, the adaptation strategies identified through modelling and participatory planning processes need to be linked to national policies and priorities. Maintain contact with national officials responsible for adaptation finance: The national focal points for the various sources of adaptation finance are key actors with whom relationships must be developed and maintained. As regional agencies develop their plans, grounded in emerging national policies and in the implementation of peace agreements, they need to brief the focal points, highlighting the relevant climate risks and how the measures address them, to ensure they can receive funding. The landscape near Salento, in the Cocora Valley. As a Colombian, I am excited for the future of my country, and I am proud to have been able to contribute to building capacity for more sustainable and resilient development. The work on the ground continues, but our project has already made a real difference. 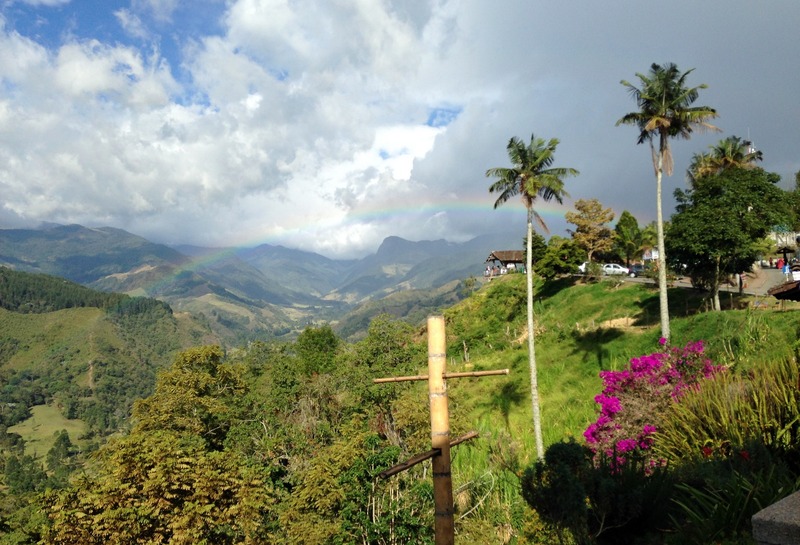 Colombia is only beginning to tackle climate risks and competing demands on water resources, but it now has a strong community of practice that is committed – and equipped – to meet the challenge.